Leeds has one of the largest student unions in the country, with over 250 activities to choose from – you can get involved in anything from football to chess, wine tasting to skydiving, dance to ‘a cappella’. Also, through the Global Community you can connect with students from over 140 different countries and take part in a range of international activities. 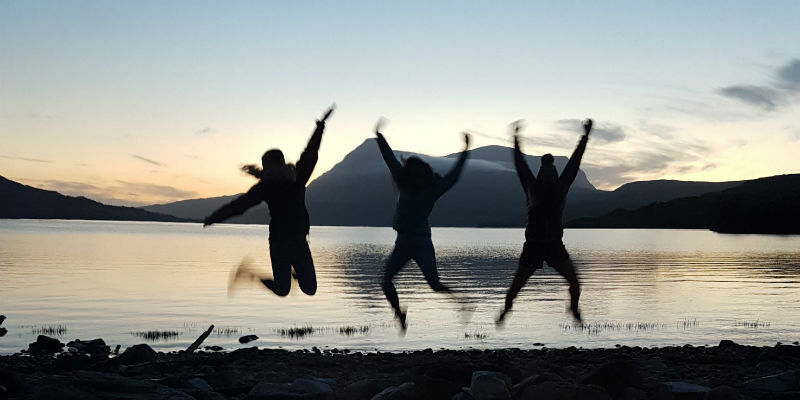 We have a number of groups run by students in the School of Earth and Environment – societies, student groups or student chapters (often a subgroup of a larger organisation). Joining doesn’t mean you have to attend events, but it is an excellent way to meet like-minded people. You could even be elected as a member of the committee – a great opportunity to build on your management and leadership skills. Socials, sporting activities and talks on geology are organised throughout the year - this society attracts Geo/Geophys/Environment students and has links to the Leeds Geological Society. Highlights include trips to Whitby and Amsterdam. Students and staff with an active interest in talking, watching films with a social, ethical or environmental interest, and sharing information and ideas to stimulate thinking about environmental and sustainable issues. The group works with the University to achieve sustainability on campus. Highlights include the beehive project and the siting of beehive within the biodiversity garden. This student chapter attracts students interested in mineral exploration. The emphasis is on building the employability of student members through developing links with industry through guest speakers and site visits. The chapter is very active in attending industry events and since 2012 has been sending members to the SEG roundup in Vancouver. This is a student chapter of the world's largest professional geological society. Membership is free and provides students with the opportunity to develop leadership skills and an understanding of industry through meeting professionals from the petroleum industry. Our School of Earth and Environment sports teams represent the School in the intra mural leagues in hockey, rugby, cricket, football and netball. They provide the opportunity to get involved with a team in a friendly environment made up of PhD, Masters and undergrad students from the school. Broadening the interest area of students studying geology, GFGD explores the ways geoscience can be used to address some of the global issues facing the world today. The school hosts meetings of the Yorkshire Local Centre of the Royal Meteorological Society. Students are welcome to attend these monthly, free, evening public talks on weather and climate where experts share their insights. The School also has very close links with the Leeds Geological Association who run monthly talks at the University for anyone with an interest in geology. Students also get the chance to present their final year mapping projects to the association and are encouraged to attend fieldtrips throughout the summer.